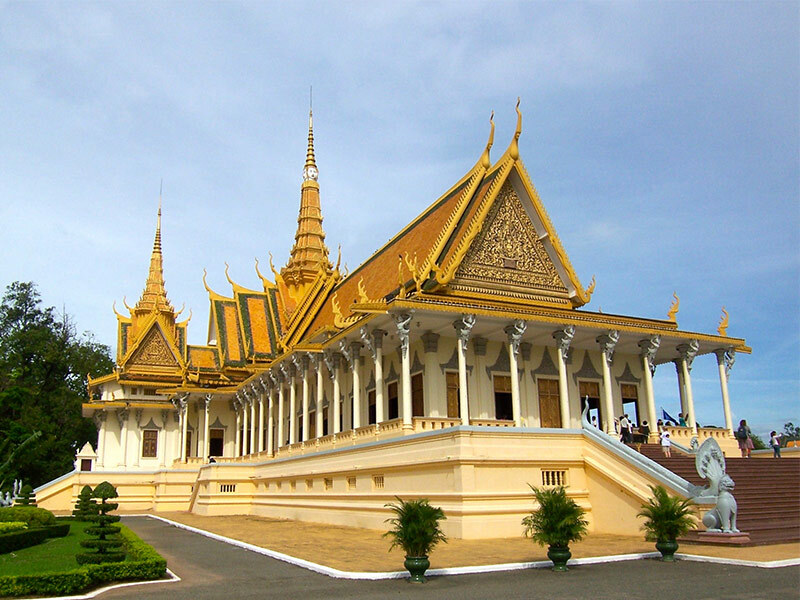 Spend a day with an expert guide to discover the wonderful monuments at Angkor Archeological Park. 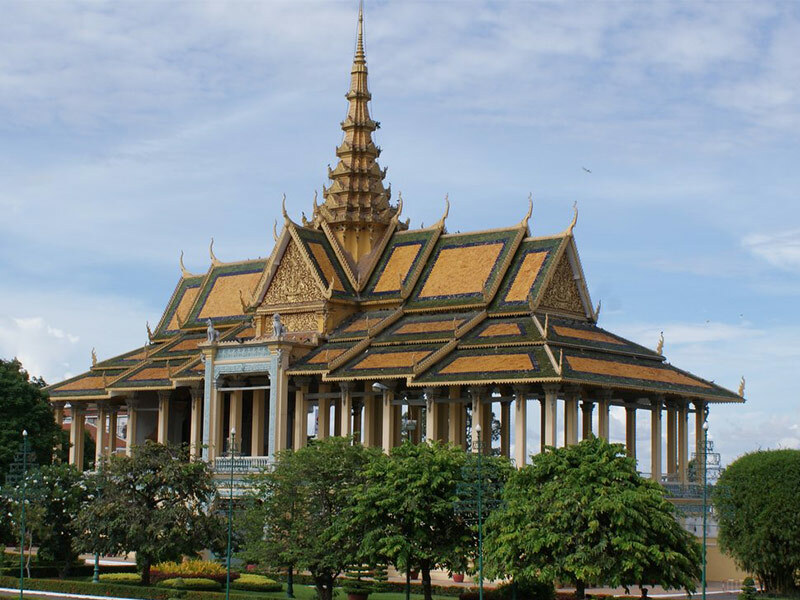 Your Angkor Siem Reap day trip includes magnificent Angkor Wat, the jungle covered Ta Phrom and the main monuments of Angkor Thom City such as Bayon and Terrace of the Elephants. 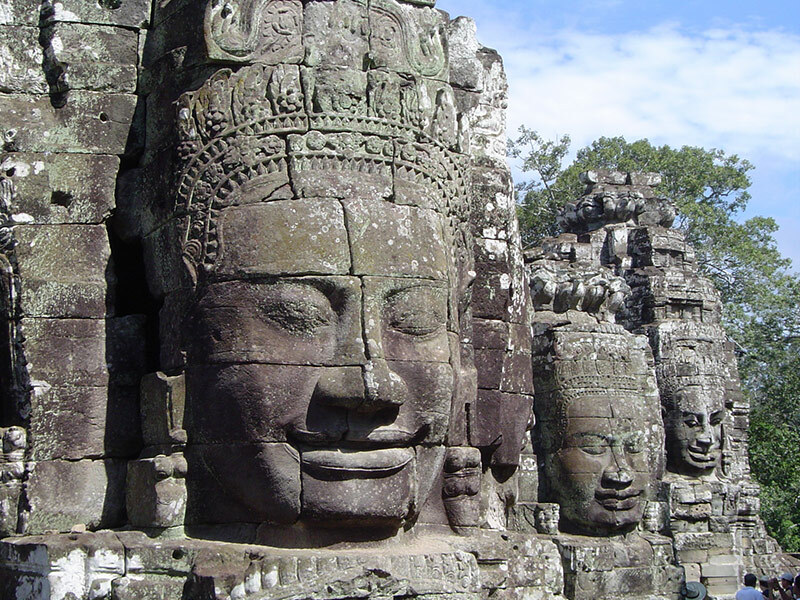 -	Visit Angkor Thom, is was established as the capital of Jayavarman VII's empire, and was the centre of his massive building programme. Start your tour to the most spectacular temples at the ancient city of Angkor Thom, the last capital of the Great Khmer Empire under the reign of Jayavarman VII. This city is surrounded by an 8 m high wall, drawing a perfect square. Enter the city through the ancient South Gate, an impressive stone gate carved with Elephants and four giant faces. 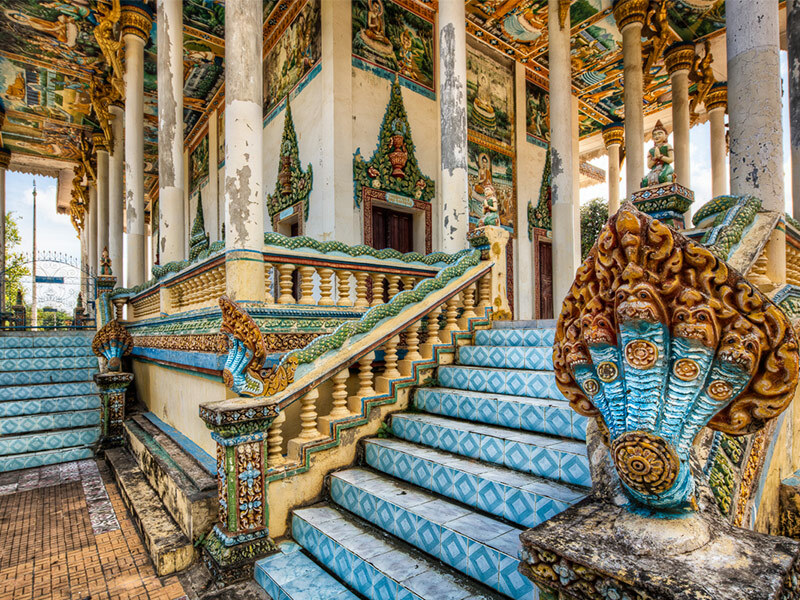 On each side of the entrance path a row of 54 gods or demons is holding the sacred Naga snake. After lunch time, you continue to Ta Prohm. Ta Prohm is unique in that it has been left largely as it was found: overgrown by jungle trees and vines, with many parts of the temple crumbling to the ground. This makes the ‘Tomb Raider Temple’ one of the most picturesque and memorable of the Angkor temples. 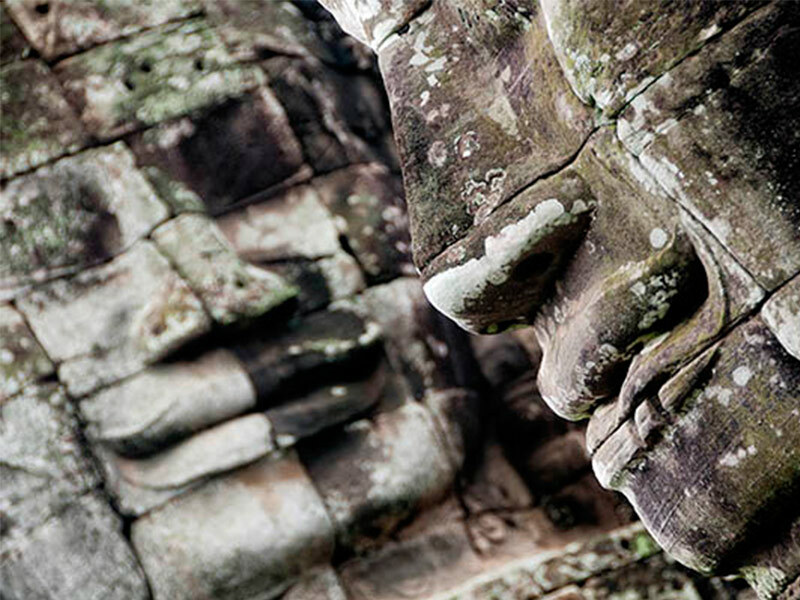 Now you are ready for the highlight: The magnificent Angkor Wat. Built during the reign of King Suryavarman II in the early 12th century, Angkor Wat is constructed following the model of the temple mountain symbolizing Mount Meru, the home of the gods. Inside the temple, the walls are covered with stone carvings and bas-reliefs depicting Hindu mythology and the wars Suryavarman II fought during his reign. 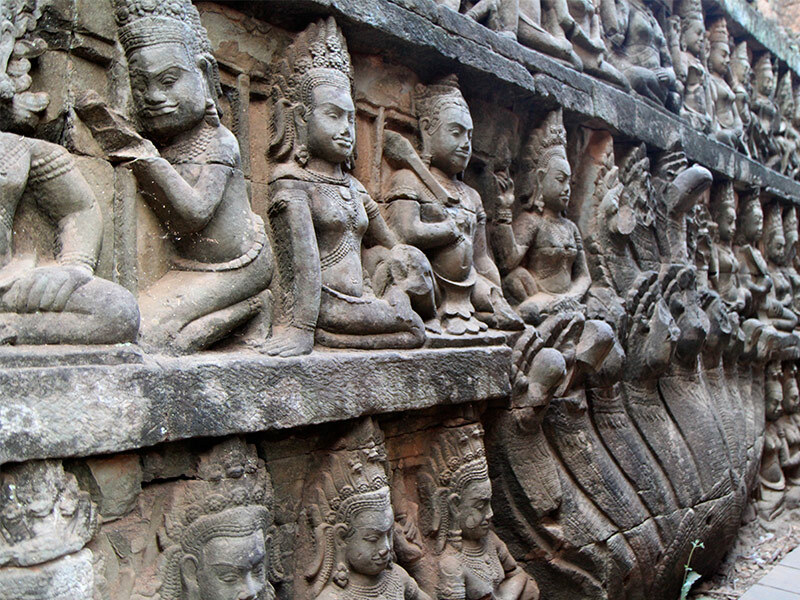 Angkor Wat is well known for the more than 2,000 Apsara dancers decorating the temple. Construction is thought to have taken around thirty years of intensive labor. 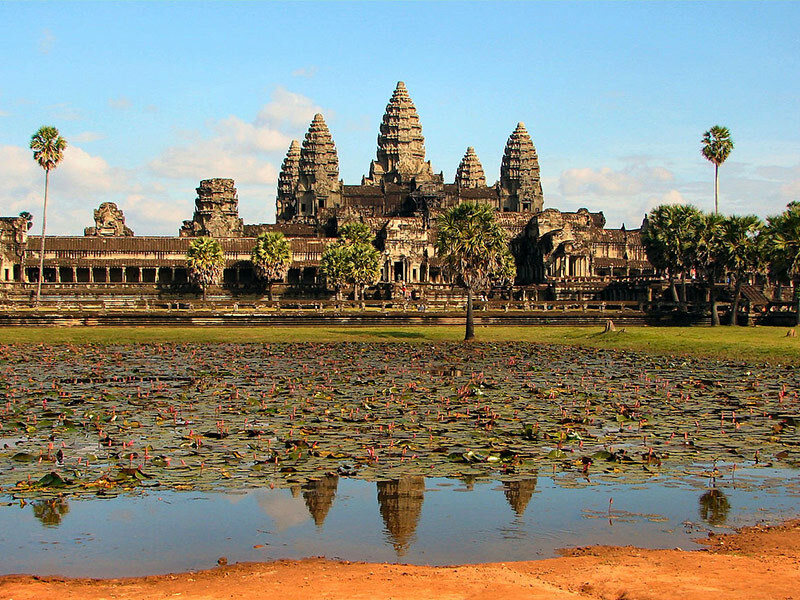 Today, Angkor Wat is figured on Cambodia's national flag as the temple symbolizes the soul of the Khmer people. You will be there during sunset time, when Angkor Wat is less visited and the Apsaras will shine in the most beautiful light. Return to Siem Reap.